When it comes to ankle boots, we’d like to think that we’ve covered just about every style of the wardrobe essential. 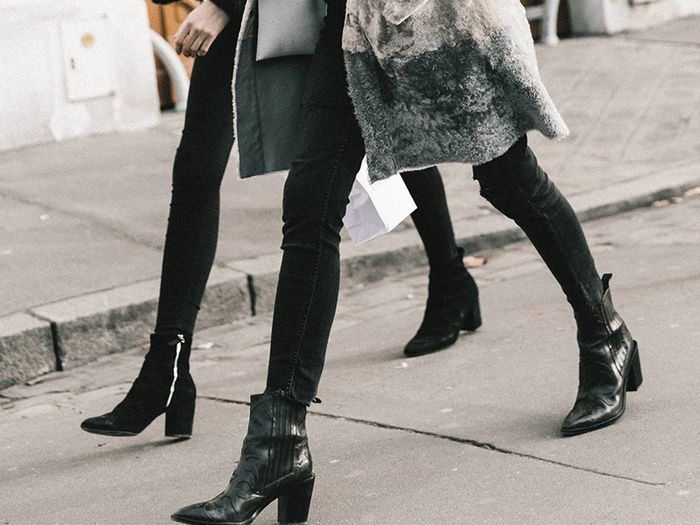 From the ankle boots that are more comfortable than sneakers to the prettiest styles of the season, we always have the lowdown on all things boots. To add to the list of boot trends from 2017, we’re sharing the style that our readers loved. After some research, our data team found the pair that Who What Wear readers purchased the most. The winner? Steve Madden Dicey Chelsea boots. The affordable and reader-approved pair ring in at just $100 and are available in both black and a neutral suede. So if you haven’t already added the style to your collection, now is the time to do so. Shop the boots Who What Wear readers purchased the most in 2017, then see some of our other favorite picks. Available in sizes 36 EU to 40 EU. Available in sizes 37 EU to 40 EU. Available in sizes 35 EU to 40 EU. Available in sizes 36 EU to 36.5 EU. Available in sizes 8 to 9.5. Available in sizes 39 EU to 40 EU. Available in sizes 37 EU to 41 EU. Up next, shop the bags fashion girls are loving this season.